Departure Date: Please call for more info as there are many dates to choose from. 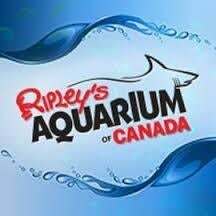 The brand new, state-of-the-art Ripley`s Aquarium is now open in downtown Toronto! Located next to the CN Tower, this phenomenal attraction features more than 16,000 animals, including sharks, jellies, rays, and green sea turtles. Be among the first to visit this incredible, highly anticipated aquarium. There will also be some free time to enjoy downtown Toronto on your own.